Are you looking for the best espresso machines under 500 dollars? In this article I will be reviewing the top 3 espresso makers that are available today. If you are a coffee lover the thought of making your own espresso drinks is a great idea. With so many espresso makers on the market it can be difficult to find the best for home use. If you are looking for the top of the line model you will need to spend some money for a decent espresso machine. Prices vary from $100-$1000, this will depend on the materials used, brand and how many features it has.The most common espresso machines are manual, semi automatic or fully automatic or a espresso maker you can use on your stove top. If you are willing to spend some money you can get a decent machine that can make a great espresso. A pump driven espresso maker is a great choice as it can make a better coffee. Check out the automatic espresso machine reviews below. This is the Breville Infuser Espresso machine and is one of the best for the money. It has a 1600 watt thermocoil heating system with a stainless steel water coil which can accurately control the water temperature. Other features include a pre infusion function which applies low water pressure for even extraction. It has a 15 bar Italian pump which has complete volumetric control for manual, re-programmable and preset volumes. It also has a auto purge function which automatically adjusts the water temperature after using the steam for an optimal temperature. It also comes with dual and single wall filter baskets, stainless steel jug, coffee scoop, cleaning tool, water filter with holder and cleaning disc and tablets. If you are looking for a top rated cappuccino espresso machine that can produce a well balanced flavor and is built to last then this is a great buy for under 500 dollars. Are you one of the million people who love drinking coffee and want to make your own great tasting espresso from home? There are many different types of coffee machines on the market today. If you just want to drink a standard cup of coffee there are many high quality coffee makers to choose from that range from $50 and up. But if you like to drink espresso coffee, lattes or cappuccinos then you will need to choose the best fully automatic espresso machine that has all the features to help you make these beverages. The features you should look out for when buying the best home espresso coffee machine is one that is fully automated. This should include a high watt heater, burr grinders, self cleaning cycle function, large capacity bean hoppers and a high pressure pump. For making lattes and cappuccinos look for an espresso maker that has a built in frother. Look for one that has a stainless steel housing, as these are made to last for many years. Next you will need to consider your budget and how much you want to spend on your new home espresso machine. By knowing what features to look out for you can then choose the right one for your needs. This is the Breville Barista Express Espresso machine and is perfect for home use. It has a thermo coil heating system and a 15 bar Italian pump. It also has a stainless steel housing which is very attractive to suit any kitchen. Other features include a stainless steel conical burr grinder with a sealed bean hopper on top. It also has an impressive purge function which will automatically adjust the water temperature for the best espresso extraction. It also comes with a 2 liter removable water tank with handle and has a cup warmer and a feature that eliminates excess water from the filter basket after the coffee is extracted. For the perfect cappuccinos and lattes it has a stainless steel 360 degree swivel action steam wand. This high quality espresso machine with bean grinder is perfect for beginners or the aspiring barista. It is made from high quality materials to ensure that it is sturdy and durable as possible and is easy to clean. It also comes with cleaning tools and a drip tray which can be removed easily and is considered a top rated espresso machine for home use. If you are looking for the best espresso machine for the price that is easy to use then this is a great choice. This is the De-Longhi Dedica 15 Bar Pump Espresso Machine and has a sleek design and can make a great espresso and it only takes up 6 inch of space. It features a cappuccino frothing system which provides Barista quality foam and thermo block technology which enables the machine to heat up to the right temperature within 40 seconds. It is also made from a stainless steel construction and has a automatic flow stop function. This espresso maker can make the best cappuccino, espresso or latte from the comfort of your own home. It comes with a three in one filter and can accommodate single and double shots espresso pods. This machine also has a compact design that can save counter space and a illuminated control panel for easy use. It also has a built in cup warmer and comes with a quick start manual, coffee scoop and tamper, mini descale fluid and a filter holder. If you are looking for a espresso machine with frother that is easy to clean, has a great design and makes great coffee then this is a great choice. This is also one of the best espresso machine under 500 dollars that is made to last. This is the De’ Longhi Lattissima Touch Nespresso Single Serve Espresso Maker and has a powerful 19 bar pressure pump for making a perfect cup of espresso. This product features 6 different beverage buttons for espresso, ristretto, hot milk, cappuccino, long and latte macchiato and is very easy to use. It is a automatic cappuccino system and has reduced heating time in approximately 25 seconds. It comes with a milk carafe which can be placed in the fridge, after use. This automatic single serve espresso machine can create rich, dense and long lasting foam. The extraction system will bring out the flavor of your espresso at your desired temperature. It is very convenient and simple to use and has a one touch feature to make the perfect cup of coffee, latte or cappuccino. There are a wide selection of Nespresso capsules to choose from and there is less clean up time. If you have been searching for a automatic single serve espresso maker that is made to last, then this is a top choice. Here are the top 4 best espresso machines for under 500 dollars. 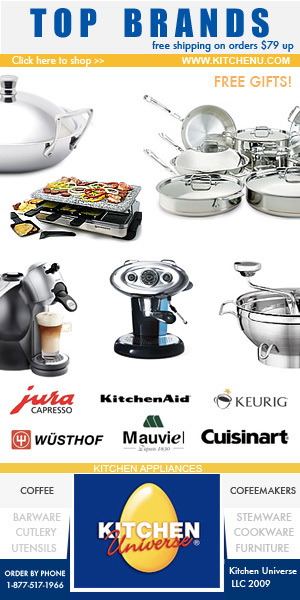 All are top quality brands and are made from stainless steel and built to last. They also have a great design and will suit any kitchen. Now it is possible to have cafe style coffee and espresso in the comfort of your own home.